According to you, Kuwait is facing several threats due to climate change. Can you elaborate these threats? Please support your view with facts and figures. Kuwait is facing a wide array of climate change issues including rise in sea level, scarcity of water, desertification and loss of biodiversity. Since 1975, Kuwait has experienced 1.5 0C to 2 0C increase in temperature, which is significantly higher than the global average. In recent years, there has been a sharp change in rainfall patterns in Kuwait, which may be attributed to climate change impacts. Historically, the country used to experience 125mm of average rainfall per year which has now been replaced by sudden spells of rainfall and long dry intervals. In addition, there has been marked increase in dust and sand storms in the last few decades which are noticeable signs of change in climatic conditions in Kuwait and other West Asian nations. During 2008, the tiny Gulf nation experienced the harshest summer since 1991, with an increase in intensity and frequency of dust storms. 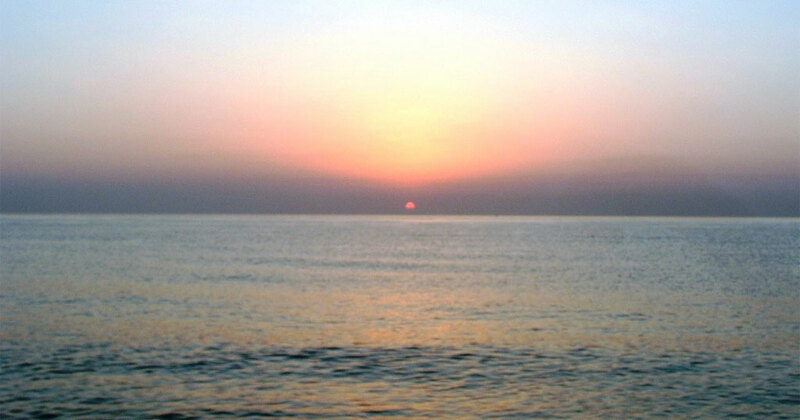 Kuwait’s coastline, which extends over 500 kilometres, holds tremendous importance as most of the country’s population and critical infrastructure is located along the coast. Some studies have predicted that a climate change-induced sea level rise of even 1 metre could have devastating impacts in the form of flooding of low-lying urban infrastructure, inundation of coastal ecosystems and deterioration of groundwater quality and agricultural areas. Infact, Kuwait has witnessed submersion of small outlying islands in the recent past due to rise in sea levels. As per your articles, Kuwait has the highest per capita water consumption but the lowest per capita production of water. Kindly elaborate. Do you find any deviation in the equation of consumption and production of water historically? What are the problematic areas regarding water in the country? How is climate change going to affect the existing problem of water crisis. Water resource management is a huge challenge for Kuwait as its per capita natural water availability is among the lowest worldwide. Kuwait’s per capita water consumption is around 450 litres per day, while the per capita natural water availability is less than 100 litres per day (which is reducing steadily). With no permanent rivers or lakes, Kuwait is heavily dependent on desalinated water and groundwater to meet water requirements for its domestic, industrial and agricultural sectors. Desalination accounts for more than half of the water supply in Kuwait and the country has the distinction of having the world’s highest per capita production of desalinated water. With climate change, it is feared that balancing water supply and demand will become a herculean challenge for the state of Kuwait. In fact, overexploitation and over-pumping of non-renewable water and unsustainable water policies are major factors in depleting groundwater reserves in Kuwait and put it at a serious risk of climate change impacts. In addition, Kuwait is also facing changes in climatic conditions, such as rainfall pattern which is affecting the water cycle and natural water recharge. How are climate change issues affecting the bio-diversity and agriculture of Kuwait? Climate change affects the biological, biogeochemical and hydrological functions of wetlands. Kuwait is a predominantly arid zone, and desert areas contain many species of annual plants, which make up almost 90 per cent of the country’s plant species. Kuwait is also endowed with rich marine biodiversity. The relative shallowness of the Persian Gulf supports a number of highly productive coastal habitats, including intertidal mudflats, seagrasses, algal beds, mangroves, and coral reefs, together with a wide variety of fish species, some of which are endangered. Many endemic species, such as crabs, are found on biota-rich inter-tidal Sabkha zones. An increase in seawater temperature will affect the reproduction period of fish and shrimp and may result in large-scale migration of fish to other areas which will have serious repercussions for the fishing industry in Kuwait and neighbouring Gulf Cooperation Council (GCC) nations. With climate change, migratory birds would be adversely affected. Erratic rainfall and desertification may lead to a loss in plant cover, thereby causing runoffs and flooding. In fact, the greatest impact of climate change on aquatic ecosystems in Kuwait would be the worsening of already-existing stresses resulting from anthropogenic activities. Agriculture production is directly dependent on climate change and weather. The possible changes in temperature, precipitation and CO2 concentration are expected to have a significant impact on crop growth. However, the potential of agricultural development in Kuwait is very limited, as less than one per cent of the land area is considered arable. Moreover, only a portion of arable land area is actually cultivated due to harsh climate, water scarcity, poor soils, and lack of technical skills. What are the solutions being discussed in local communities and government to deal with these issues? Do you find any trends? In recent years, the Kuwait government has launched some initiatives to mitigate the effects of climate change. However, the gravity of the situation is not matched by the robustness of government and public response. The oil industry, transport sector and landfills are major sources of carbon emitters, and government should do more to reduce GHG emissions from these sectors. There is lack of environmental awareness among local and expat communities, which is hampering the progress of voluntary activities launched by government, NGOs etc. A strong framework for climate change adaptation as well as mitigation is urgently required to spur all stake-holders into action. Are these efforts to fight climate change impact going in the right direction? Do you suggest any changes to it? Kuwait is both physically and biologically threatened by the global warming phenomenon. Over the next few decades, Kuwait could be potentially facing serious impacts of climate change in the form of floods, droughts, depletion of aquifers, inundation of coastal areas, frequent sandstorms, loss of biodiversity, significant damage to ecosystem, threat to agricultural production and outbreak of diseases. Fossil fuels occupy a pivotal role in Kuwait’s economy, industrial and socio-economic development. A national plan for transition to low-carbon economy is required to cut down carbon emissions from the oil industry and other sources of anthropogenic GHG emissions. In addition, there is an urgent need to implement climate change mitigation and adaptation measures, and prepare a strong framework for socio-economic development which may be sustainable in the long-run. Closer cooperation between Kuwait’s EPA and different ministries (especially the Ministry for Oil and Conservation of Natural Resources, the Ministry of Fisheries, and the Ministry of Industry) is needed for climate-change related research, policy-making and legislation. What is the situation regarding the production of energy from renewable sources? Renewable energy is in its nascent stages in Kuwait, though the country has set an ambitious target to meet 15 per cent of its energy requirements (2000 MW) from renewable resources by 2030. The renewable energy sector in Kuwait has recently kicked off with the construction of the 2GW Shagaya Energy Park. This facility, comprising of solar thermal, Photovoltaic and wind power systems, is being built on a 100-square-kilometre (39-square-mile) area in Shagaya, a desert zone near Kuwait’s border with Iraq and Saudi Arabia. The first phase, scheduled to be operational by the end of 2016, will comprise of 10 MW solar PV and 50 MW solar thermal power plants. Needless to say, Kuwait has a long way to go before renewable energy can make a real impact in its national energy mix.